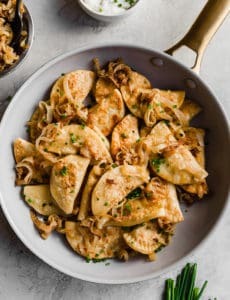 Since it’s only available here for a short time in April and May, I try to take advantage of it each spring and incorporate it into a number of recipes. As soon as I saw those beautiful reddish-pink stalks in the produce department last week, I snatched some up and started brainstorming. I hadn’t made scones since my mom’s birthday in September (chocolate chip are her favorite! 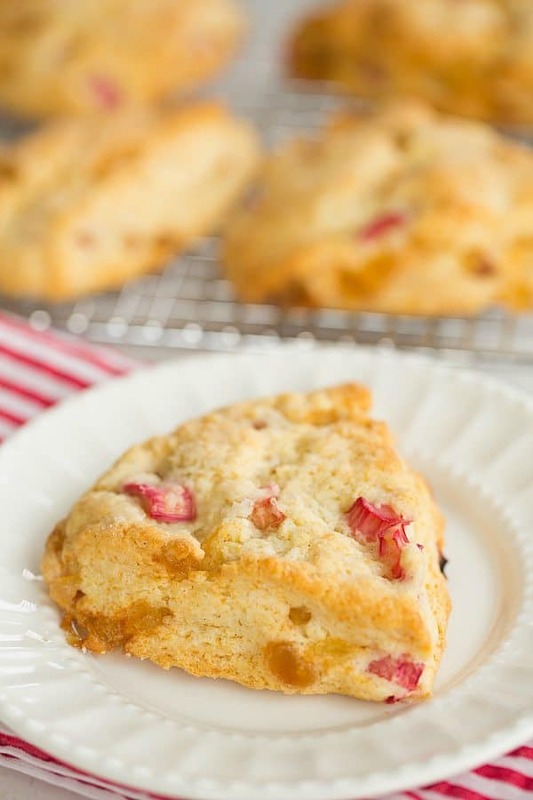 ), and I love the combination of rhubarb and ginger, so before long my idea was solidified. 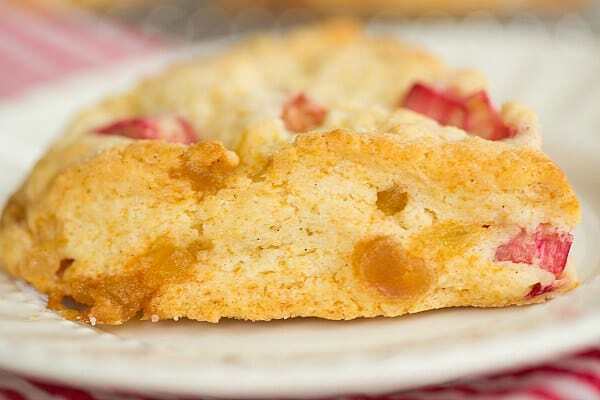 Those chocolate chip scones are one of my favorites as well, in large part due to their tender texture (the chocolate doesn’t hurt, either!). 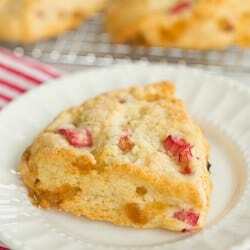 I went the same route with these scones, and added a small amount of butter to increase the flakiness. Instead of simply including vanilla extract, I infused the sugar with vanilla bean, which will makes your hands smell phenomenal! Lastly, I chopped up some rhubarb and tossed it in sugar before adding it to the mixture, and threw in a good dose of crystallized ginger. I can’t get enough of flecks of vanilla bean! The result were impossible-to-resist scones. 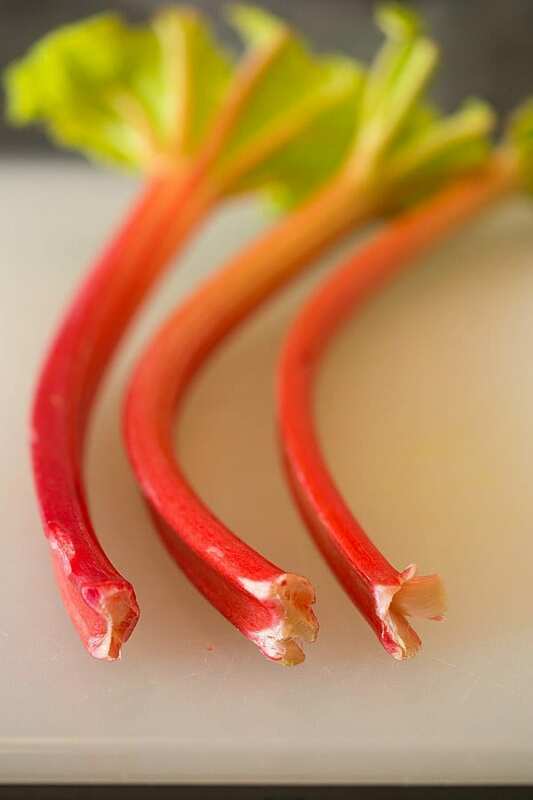 They are wholly acceptable for breakfast, snacks or dessert; the right amount of sweetness provides balance to the tart rhubarb, and the ginger gives them a little kick. The scones are definitely best straight from the oven, but can be kept airtight for a few days. So what if it snowed again two nights ago (that makes snow on my birthday two years in a row, if you’re keeping track)? Spring has definitely sprung in my kitchen! Place the remaining sugar in a large bowl. Slice the piece of vanilla bean lengthwise and scrape the seeds into the sugar. Using your fingertips, rub the vanilla seeds into the sugar until it is evenly distributed. Add the flour, baking powder and salt to the bowl and whisk to combine. 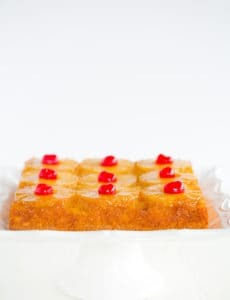 Add the cubed butter and, using a pastry blender or two knives, cut the butter into the flour mixture until it is the texture of coarse sand and there are no pieces of butter larger than the size of a pea remaining. 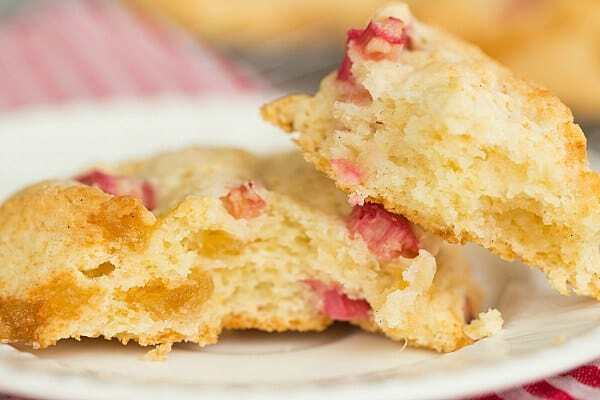 Stir the rhubarb and ginger into the mixture, making sure that everything is evenly coated in flour. Divide the dough in two and pat each into a 7-inch circle. Cut six triangles out of each circle and place on the prepared baking sheet. Sprinkle with additional granulated sugar. Bake until the scones are set and golden brown, about 20 t0 25 minutes. Cool on the baking sheet for 15 minutes, then transfer to a wire rack to cool. Serve warm or at room temperature. 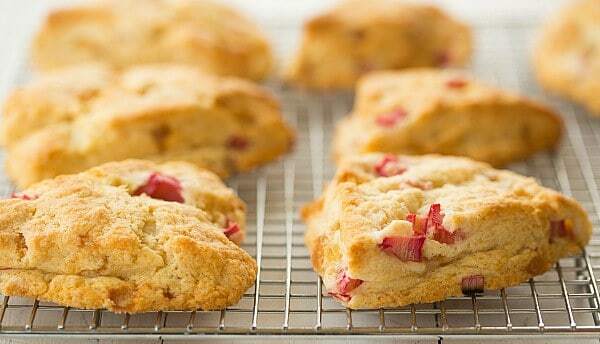 Store the scones in an airtight container at room temperature for up to 3 days. LOVE lentils, but my family does not. 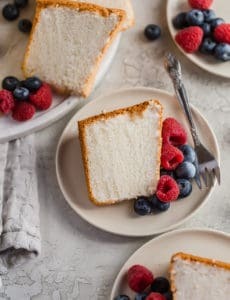 Such a bummer because I never get to make them, but seeing as i would probably eat this all myself anyway, I guess that is a good thing! They look awesome! YUM. 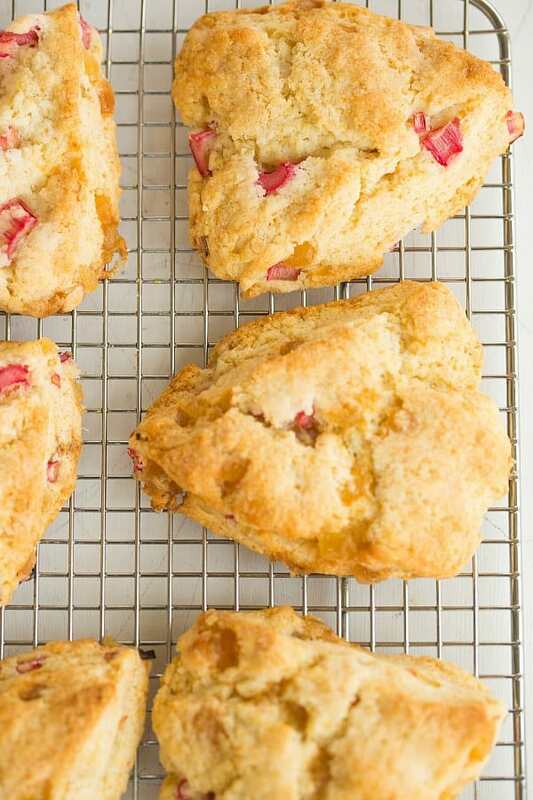 Love the Rhubarb and Vanilla Combo. Influenced my mouth to water simply pondering the poignancy of the Rhubarb! I have tons of rhubarb growing in my backyard, but I don’t have any vanilla bean. Do you think I could get away with vanilla extract or will it alter the flavor too much?